What types of Oysters do you offer? We offer a large variety of oysters to our clients from both the East and West Coasts. Whether you are looking for briny, sweet, crisp or creamy, we love shucking them all! Since we are based in beautiful California, Pacific oysters (Crassostrea gigas) are one of our favorites, with their wide variety of flavor profiles to choose from. No matter the occasion, we make the best selection based on our clients individual preferences, and we always guarantee the freshest of oysters! Where do you get your Oysters from? 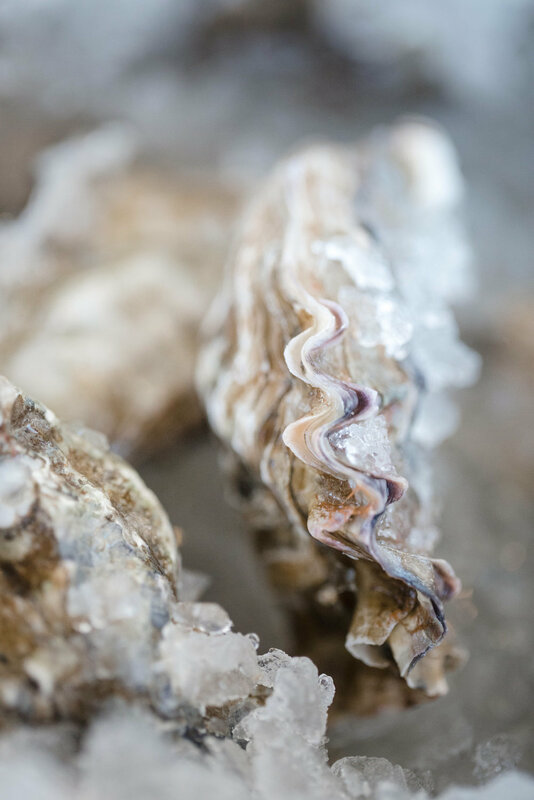 We always strive to provide the highest quality oysters for our events, which is why we source our oysters from the best sustainable oyster farms in the United States. Although we partner with oyster farms throughout the country, we often source our oysters close to home, including the Central Coast and Puget Sound. Will you travel for out of town events? Yes! While we primarily serve Santa Cruz, Monterey, Carmel Valley and the greater San Francisco Bay Area, we are always willing to travel to your destination event. Travel fees may apply. To receive a quote for your wedding or event, please contact us! How far in advance do I need to book you for our event? We can accept bookings at anytime, however, since we take a limited number of events per year week, we do recommend reserving our services at least 4-6 months before your event. For destination weddings requiring additional travel, we recommend securing your date between 6-12 months prior to your event. Do you offer catering to smaller parties? Absolutely! All packages are custom created to meet the specific needs of our clients, no matter how intimate or grand the occasion. To receive pricing information for your event, please contact us. Do you offer any other types of shellfish? If you are looking for more than raw oysters, we are happy to serve various raw clams on the half shell, as well as the ever so popular cooked and chilled jumbo shrimp.